On March 9th 2019 I visited an online website sale to purchase a Computer Samsung SSD 1TB storage drive offered at $99, to include free shipping. I used my charge card to make a purchase of this item on the same day. 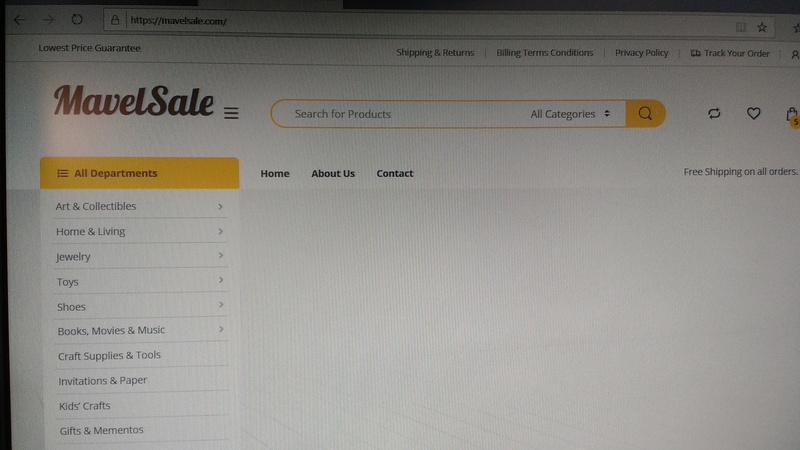 The website is "mavelsale.com" and the address given is 3330 Clayton Road, Concord, CA94519 but no phone number. The website account page for my account transaction / order has never changed from the word "processing". I made a couple of email inquiries as to the exact method of shipping, this was not answered correctly, So I asked the question again a day later and got what appears to be a standard auto response.After doing some research at the fraud and scam site Scamvoid.net, I discovered that there were other unhappy and worried customers waiting for their orders to be delivered. So I contacted my charge company Citi VISA to cancel the order and immediately was informed that they had cancelled the transaction and were refunding the amount back into my account. Refunded March 13th 2019. I have since posted my comments of this transaction on the website *** to aid others of this fraudulent and scam operation, in the hope that no further customers will be affected / stung!